Unfortunately, it's not quite lucky seven. Despite a few commendable dishes, I often found The Bryant to be a pricey, noisy restaurant serving mostly mediocre food. The Bryant is a handsome 10,000 square foot, high ceilinged, 250 seat spot near the Walt Whitman Mall where TGIF had been. 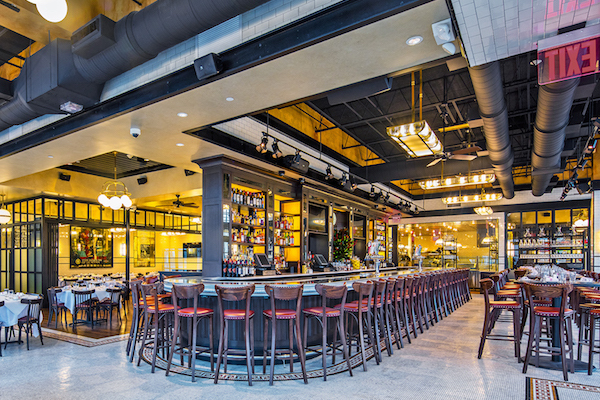 It offers an elaborate open kitchen, a huge bar, and often generous portions. There are only two problems: the noise and the food. First, the noise: certainly no one expects serenity at a bistro like The Bryant. 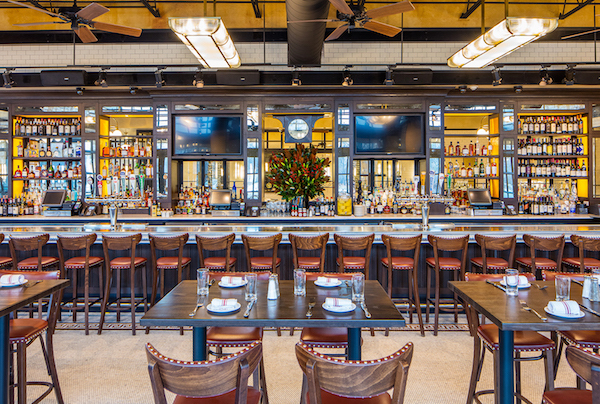 These places are expected to be rollicking, upbeat hangouts for young diners, but The Bryant takes things to an extreme. On a weekend night, we could not even hear what our waiter was saying. Although everyone was virtually shouting, he couldn’t hear us either. We often couldn’t hear the people we were sitting next to. This place isn’t loud; it’s pandemonium, and we saw no effort to moderate the bedlam with any needed sound proofing. Oh, yes, we sat in the rear, supposedly the quietest room there. The comprehensive, king sized menu here contains fewer entrées (called specialties) than anything else (starters, pizza, salads, big salads, weekly specials, raw bar, sushi, cheese and salami, sandwiches, French fries and sides). Some of the prices generated by those items are pretty fancy. Starters aside from chicken soup run from $12 to $23. Two burgers go for $19 and $23. Additionally, no substitutions are allowed and bread baskets don’t seem to arrive unless requested. But the most significant short coming encountered here was seasoning. Almost everything we ordered seemed to be under-seasoned or completely unseasoned. A husky hunk of meatloaf on a mound of smooth, creamy mashed potatoes offered no discernible taste what so ever. Close behind it was a generous, fall-off-the bone, two rack rib entrée that also provided little if any flavor. The diner who ordered salad and sushi did much better. Her king crab California roll was all it should be, and an iceberg wedge salad - although smaller than those encountered elsewhere - was fine in every respect. Two desserts batted 500. An excellent, round chocolate molten cake with vanilla ice cream was rich and satisfying but the tarte tatin was ice cold.